Feeling in awe with nature, enjoying incredibly delicious food and meeting fellow hikers/bikers who are all heading to the same destination, Santiago de Compostela. A short summary of our holiday as we’re back home from a great experience, the Camino de Santiago or Saint James Way. There’s so much information available so we will stick to some personal notes and recommendations that we hope might help you when preparing for this. Let’s start by making clear that the Camino is not one single route but a large network of pilgrim routes across Europe that converge at the Cathedral of Santiago de Compostela. What began as a pilgrimage to the tomb of the apostle St James is nowadays a true experience that thousands of people, from all over the world, complete with different kinds of motivation. Everybody walks their own Camino. The most popular route however is the Camino francés or the French route which starts from St Jean Pied de Port, nestled at the foot of the French Pyrenees. The first part is probably the most difficult stage of the journey as you cross the mountains. An alternative is to start at Roncesvalles, the first town across the border in Spain where you leave the Pyrenees behind you. If you start at St Jean Pied de Port, you will walk 780km over 30-35 days. Many people will find it difficult to take one month off or are looking for a less challenging experience. That’s exactly why Sarria, at 118 km from Santiago, is the most popular starting point. 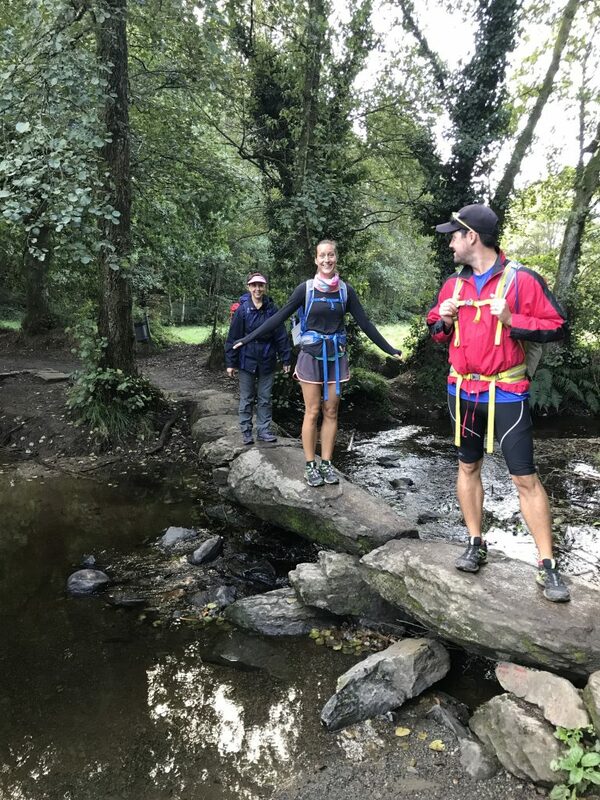 You can easily divide this route into 5 or 6 stages with an average of 20km per day and it earns you the well-deserved Compostela as you will have walked over 100km to Santiago. This is exactly what we did: we divided the 118km in 6 stages of respectively 22.75, 25, 15.2, 14.5, 19.2 and 19.9km. Some pilgrims take stage 3 and 4 as one stage but end up exhausted. The only advice here is to know yourself. In addition to the French route, there are 7 other “caminos” to follow across Spain. Worth mentioning is the Camino portugués or the Portuguese route which starts in Lisbon and heads north towards Porto. The last stretch – Porto to Santiago – is a popular route as well in terms of number of pilgrims and is “only” 240km long. Note that all routes can also be finished by bike or even on horseback. Bear in mind however that a large part of the camino is via unpaved paths, there’s a lot of up and downhill as well so we only recommend you to cycle the Camino if you have some experience as a cyclist and know how to change a tyre at least. 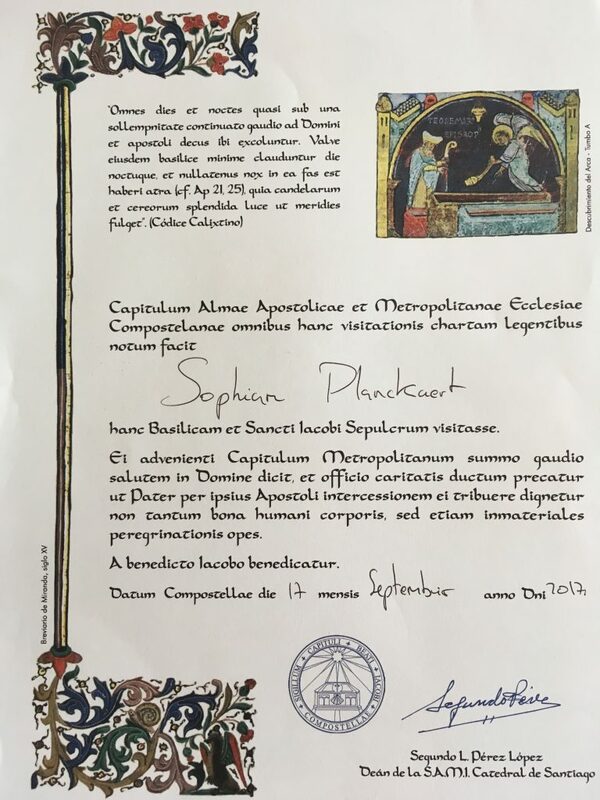 The only document you need along the Camino is the Credencial or Pilgrim’s Credential. It’s your official passport that will record all places that you have passed. You need to stamp it at least twice a day for the last 100km (for pilgrims on foot or horseback) or 200km (for cyclists). 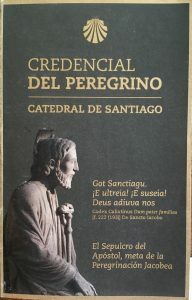 You can buy it for only €2 at many hostels and cathedrals along the Camino (we bought ours at the Cathedral of Oviedo) or associations of the Camino in Spain or abroad. We’ve done many long, multi-day hikes in the past and always carry some energy bars, dried fruit and water with us. What we didn’t know, is that you will find many bars and restaurants or even self-providing stands along the route. Some locals just leave a table with food & beverages in front of their house, unattended, and you grab whatever you want upon donation. Also, all villages where you will sleep overnight have some small supermarkets and several restaurants where you will be able to recharge your batteries. 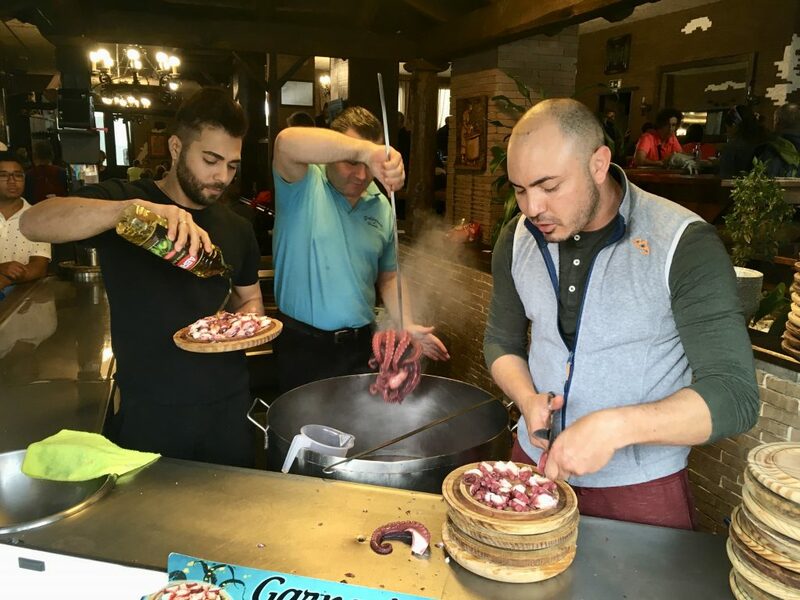 Pulpería A Garnacha in Melide: The best “pulpo a feira” or octopus we’ve ever had! Restaurant at Hotel Casa Blanco in Palas de Rei, see below. Casa Nené in Arzúa: The best dinner along the Camino. Traditional Galician cuisine with a modern touch. Recommendable to book a table in advance. Taste The Way in O Pedrouzo: Trendy, little spot with a large shared table.They have a small menu with local, fresh products and a great wine list. Con Culler in Santiago de Compostela: Small restaurant in one of Santiago’s most frequented streets, great quality at a fair price. Viñoteca Ventosela in Santiago de Compostela: Traditional, charming wine bar. You can choose how much you want to spend on accommodation. The “albergues” or hostels with a shared dormitory and bathroom, start from as less as €8/bed/night. We were traveling with my parents-in-law so we chose a little bit more comfort and privacy. We highly suggest you to book your accommodation in advance, especially if you travel during high season (Jul-Aug). Hostal El Padrino in Portomarín: Recently opened hotel with a solarium and jacuzzi on rooftop terrace. Casa Blanco in Palas de Rei: A lovely landhouse, situated 5km off track but with complimentary taxi service. On-site restaurant with delicious food (including breakfast). Casa de los Somoza in O Coto: Nice landhouse situated in between Palas de Rei and Melide. You need to take a taxi from Melide to get back or take this as your end point of the day. Pensión Boutique La Casona de Nené in Arzúa: Charming boutique hotel in the centre of Arzúa. A wonderful breakfast – the best we’ve had along the Camino – is served at their restaurant at only 2min walking from the hotel (see above: Casa Nené). Pensión Rua Nova in Santiago de Compostela: Centrally located hotel (right behind the Cathedral) with small yet comfortable rooms. Price-quality definitely good. Packing right will make your journey more enjoyable and above all, can save you some important kilos. Note however that there’s a huge offer of luggage transfer services that can make the Camino easy for you by taking your luggage or backpack to your next hotel. Many hotels/hostels offer laundry service so there’s no need to carry clothes for each day. Take some tweezers with to hang your clothes to dry. If you walk the Camino during Spring/Autumn, bear in mind that the mornings and nights can be chilly so take at least one warm sweater/jacket with you. Avoid blisters by taping your most vulnerable areas (around the toes and heels) with Compeed patches. 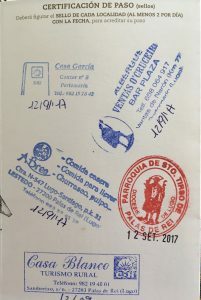 When arriving at Santiago de Compostela, many people will head immediately to the Pilgrim’s Reception Office, at 250m from the Cathedral, to get their “Compostela” or accreditation of pilgrimage. Remember that you need at least two stamps per day for the last 100km (for pilgrims on foot or horseback) or 200km (for cyclists). Now, the best advice we got from a fellow pilgrim was to identify ourselves as a group (of four) in order to avoid the long cue. After filling out some paperwork, we were assigned an exact hour (3 hours later) to come back to pick up our Compostela. Important note: All of the group members need to have the same start day and start point in order to enjoy this benefit. If you’ve met some awesome new friends along your route who started the exact same day as you and from the same village as well, then we highly recommend you to do the same as we did to skip the lines (in summer cueing can take up to 4h!). Whatever your start point, motivation or story is, you’re part of a unique journey that will take you to Santiago de Compostela. 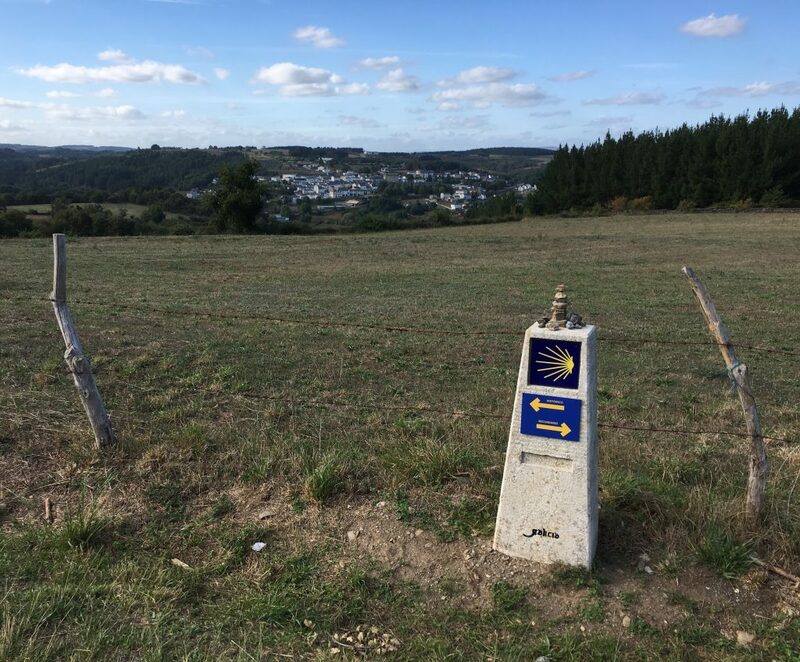 Would you like to walk the Camino but you have some questions or doubts? Do you need help booking your trip? Our Personal Travel Planners are happy to assist you! Contact us today and we will get back to you asap.